according to the longest stay at the No. 1 spot based on our Daily Top 10 chart. In case of a tie, the basis will be the number of days the song stayed on the chart. If there is another tie on the length of stay on the chart, ​the song which debuted higher​ on the chart will be ranked first. The cut-off period is from the first charting day of January 2017 until December 22, 2017. Watch the music videos of our Top 20 Best of 2017 songs below! 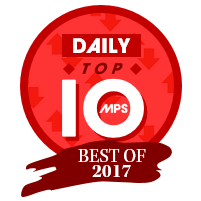 See what fans has to say about the MPS Year-End Countdown Best of 2017 results! 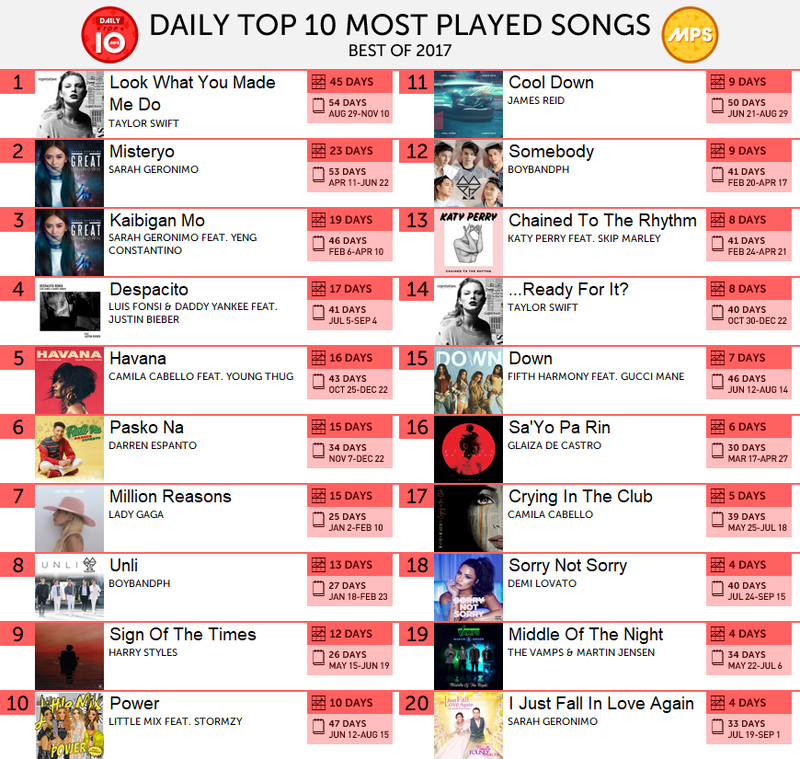 The OPM Queen Sarah Geronimo still had the most number of​ entries. "Misteryo", "Kaibigan Mo" and "I Just Fall In Love Again" were successfully charted on OPM Top 10 Year-End 2017 and Weekly Top 20 Year-End 2017.